You can’t fix what you didn’t break. Sometimes the demons we face, are not the person we’ve dated fault. We’ll never know the demons anyone truly face, until they decide if they want to take it out on us. We try to be there and show them something different but soon realize their demons are slowly killing us. As I come to learn a man is his mother image. A man is what his mother make him to be, he may carry out some of his father actions; but his character come from his mother. Like a woman is what her father tell her to be. Whether he speak it with his words or speak it with his actions (by not being in her life), a woman carry her father words with her everywhere she goes and in all of her relationships. That why sometimes when a man is reckless, if his mother understand his actions then no one else opinion of him even matter. Vice versa with a woman. We chose to play doctor but doesn’t stay around to fully cure that person injuries. We just add more cuts, to an already wounded soul. I just knew one day he would break, I just knew it would only be so long this man will sit quiet. However, as I always say a man never fully understand the damage he cause a woman until she bare his seed. I was happy to finally hear his side, but I was also angry because he gave away his power. Nonetheless, he still doesn’t see how his actions have wounded her. While her vengeance's have nothing to do him, her actions is towards every man that broke her heart and let her down do. On Thursday night, the rapper Nas posted a sprawling open letter to his ex-wife on Instagram in which he denied the allegations of physical and mental abuse that she publicly made against him in April. Nas' letter spans seven separate posts, which the rapper says were triggered by a call from Essence magazine about a Kelis-related story. In his sixth posting, Nas stated: "I do not beat women. I did not beat up my ex-wife." Elsewhere in the letter, he refers to Kelis as "verbally abusive" to both him and his daughter and claims that she has been physically abusive to him as recent as this year. In addition, Nas contends that she made her abuse allegation during the rising tide of the #MeToo movement as a way of "taking advantage of a moment where women who are fighting for their lives." Now, back in 2006 Carmen Bryan, the mother of Nas' daughter, alleged that he was physically abusive towards her. Therefore, as my father say if two or three witnesses share the same story, then it some truth to what is being said. Kelis and Nas were married in 2005 and divorced five years later; Kelis filed for divorce while she was pregnant with their son. Throughout Thursday's letter, Nas repeatedly refers to ongoing custody disputes involving the child. Saying that the singer is keeping him from his son. It been many moons ago since Nas and Kelis were considered #goals. The once “hip-hop royalty couple” has descended from their plinth––complete with a green wedding dress and massive tribute tattoos to share their love. Now they’re messy exes from their lovers’ past. 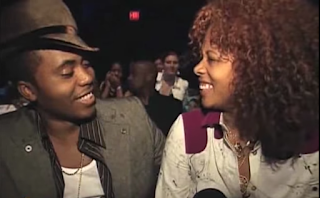 Watching Kelis’s hour-long discussion of her marriage with Nas it struck a very deep chord in me. I fought hard not to believe what she was saying. Simply because I been a Nas fan since I was a young spirit, his love and celebration of black women help me find the beauty in myself. So, to hear her down his character hurt me. however, I knew it was some truth to what she was saying. And Thursday, he confirm that with this statement “I have to say I wasn’t the most faithful husband. I was immature. I’m sorry about that. But you bumped your own head sis.” Like many men who doesn’t seem to understand the damage cheating cause, Nas looking past his actions and going straight to hers. That the thing about loving a damaged person it can be self-destruction, it’s agony, running all through your body. No one will understand why you love this person, but you. It’s a task that only meant for the strong will, the ones who know how to love unconditionally, because the truth is, loving someone who has been hurt is caring for them while not expecting anything in return. Loving a damaged person is a war, only few are willing to fight, that’s why they are often left alone in the first place. Like I said in the beginning, you can’t fix what you didn’t break. Damage people deserve to be love to. However, until they learn to love themselves and let go of their past then no one will be good enough for them. You can be exactly what they need, but until that gray cloud leave their lives then you just wasting your time. Being with a damaged person is absorbing their poison. It’s saving someone while you’re losing yourself in the process. It’s never knowing whether what’s between you is real or not. It’s being stuck in a loop of mind games, and never figuring out when will they come to an end. They will give you just enough of themselves to hang on there, to stay close. Because deep down they don’t want you to leave. They won’t let you go because they know they need you, but they won’t give you any more than that because they know how powerful those feelings can be. 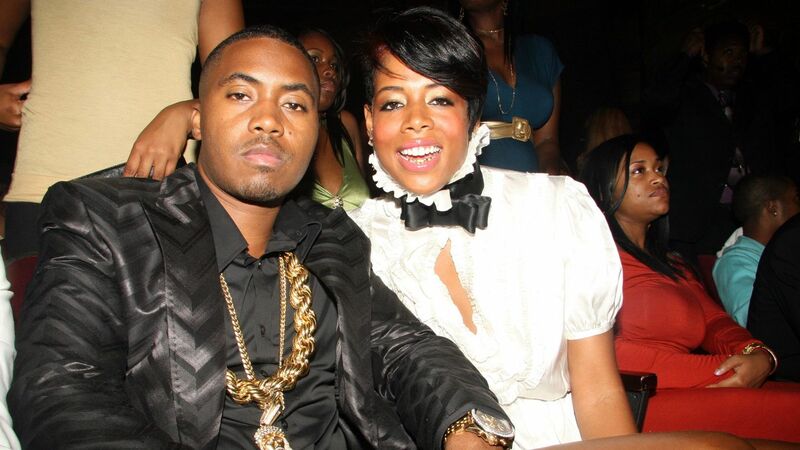 Kelis said it herself that her father not being in her life and multiple failed relationship play a role in her marriage and relationship even after her marriage to Nas ended. Like many women instead of healing herself first, she chose to carry that pain into her marriage. The sad reality is for anyone who have experienced a toxic relationship, is these are two people who are choosing to hurt each other instead of breaking this toxic cycle. 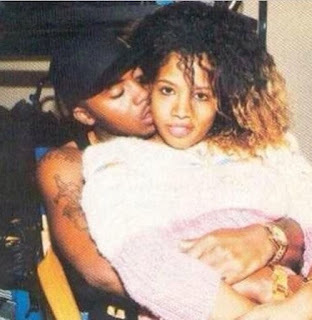 Kelis, believed that she could've “love through” the pain, and sat in the midst of that poisonous marriage because she wanted to show that she wasn’t weak and was going to stand by her husband no matter what. And Nas, while he attests “Women are the essence of life. I cherish them,” was still unfaithful to his wife and trying to pass it off as simple immaturity. He, like a lot of Black men, struggle to practice love in action and proceed to allow emotional manipulation to take the place of their accountability. Many men doesn't seem to understand what cheating do to a woman mind. In truth what they’ve seen; and how they were loved early on in their lives, was clearly brought into their union. I don’t think we will get the full story on what happen in their marriage, and honestly that a good thing. Sometimes things are best left unsaid and unknown. Hopefully they will come to a common ground for their son. It will be a part two touching on this topic, and it will posted on The Black Juice. I don’t know what to believe or think about the Nas/Kelis situation. I saw him perform last weekend at One Music Fest and it seems as if he still dealing with it. Mind you Kelis was set to perform the next day. But you are right, you will never know what demons someone is going through until they propel it onto you. It’s amazing to me that as a young teenager I loved this couple, but as an adult I hate it. They both are able to point out the other person’s wrongs, but can’t see how they each contributed to their relationship ending. Like you I hope they get it together for the sake of their son. This affects him too. Some powerful points in there, especially about how a man become what his mom pours into him and about loving a broken person. Sometimes we're so blind in the beginning but later we get so hurt because of the hurt they inflict on us and we don't know when to walk away. And then, we try to keep the conversation going with the person well after the relationship is over, even if it means airing ALL the dirty laundry because so many issues are unresolved. And then they're fighting to the finish to defend themselves because they're in the public eye so not only do they want to defend themselves to each other but to the public as well. What an interesting thought. I would like to think that if people realize their thoughts/behavior they can correct it. But you are right that parents behavior can affect their kids relationships. The whole situation is unfortunate. I’m glad to finally hear both sides of the story but it’s messy how it happened. In the age of social media, nothing is sacred anymore. TV, radio, and print interviews were the only ones back in the day and to a degree, those were and still are scripted. However, this social media thing allows people to put everything out there at the drop of a hat and I’m just not sure that’s the way to go.